At Bayou Home Care, we are dedicated to setting the standard in our industry. As a full service home health care company, Bayou Home Care in Louisiana provides professional staff to meet the various needs of the patients in the Bayou Region. We hire only the best local, licensed professionals. Our staff members are at the top of their fields and bring that level of care directly to our patients’ homes to provide a broad range of services. 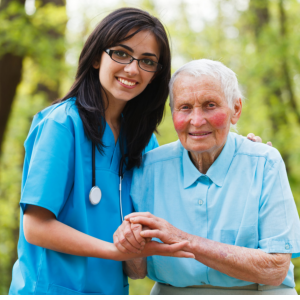 Bayou Home Care is a preferred provider for home health care services. Consider Bayou Home Care in Louisiana for all you home health needs. Bayou Home Care is a licensed Medicare/Medicaid Provider, and we accept most Medicare Advantage Programs. We are in network with Humana, Humana HMO, Blue/Cross Blue Shield and Gilsbar. We also accept VA, Tri-West, and Workers Compensation. As a provider of Home Health in Houma, LA, Bayou Home Care will make every attempt to negotiate rates and manage patients for any other providers not listed above. Of course, acceptance of referrals is always based on availability of staff and appropriateness of the patient’s needs. Bayou Home Care was recognized as an Elite Agency in 2015 by OCS HomeCare and DecisionHealth. This Award Recognizes The Top 25% Of Home Health Agencies In Terms of Performance Measures.